Individual mesh pattern of flowing gold thread silver thread. It is an obi band made of Japanese belt. 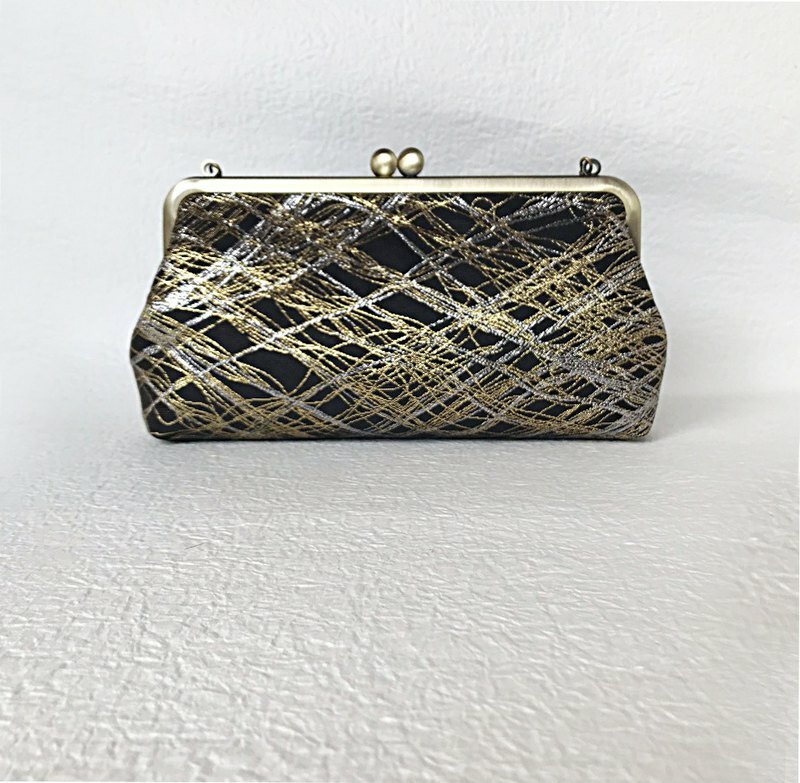 I made remake of the mesh pattern bag band of gold yarn woven so as to flow on the black base as a handbag with chain. It has a very unique woven pattern, a small bag but a presence. You can use it in various scenes from gorgeous seats to everyday. Base diameter 20.6 cm (antique gold) 11.5 centimeters in length Lateral maximum 26.5 cm Machi 4.5 cm Bag chain (antique gold) can be removed. Length 44 cm (including Nasc) Please allow some errors. It is a band remake item. Although we are producing with extreme care, there may be scratches, dirt etc overlooked points. Please understand beforehand that it is a used item. We also sell simultaneous at other stores, so please forgive us when out of stock As we produce everything manually, please understand as each item a slightly different color or shape. Please confirm the "size" and "material" of the work before purchase sufficiently. The color may look different on the screen and the real thing. If you have any questions, please contact us.